Freddie McGregor is one of reggae's most durable and soulful singers, with an incredibly steady career that started all the way back in the '60s, when he was just seven years old. Since then, he's spanned nearly every stylistic shift in Jamaican music, from ska and rocksteady to Rastafarian roots reggae to lovers rock (his particular specialty) to dabblings in dancehall, ragga, and dub. Not just a singer, he wrote some of his own material, and grew into an accomplished producer as well. McGregor's heyday was the early '80s, when he released several high-quality albums and reached the peak of his popularity in Jamaica and England. However, he remained a strong presence on the reggae scene well into the new millennium. McGregor was born in Clarendon, Jamaica on June 27, 1956. At age seven, he started singing backup for a local ska harmony duo called the Clarendonians (naturally, with the nickname of Little Freddie McGregor). The Clarendonians recorded for producer Clement "Coxsone" Dodd's legendary Studio One label for a time, and when they split in the mid-'60s, McGregor teamed up with ex-member Ernest "Fitzroy" Wilson to form a new duo, Freddie and Fitzroy. They recorded several single sides, including "Why Did You Do It" and "Do Good and Good Will Follow You." McGregor stayed at Studio One for much of the '70s, working as a session drummer and backup singer while developing his own vocal style, which owed much to smooth, Philadelphia-style soul. 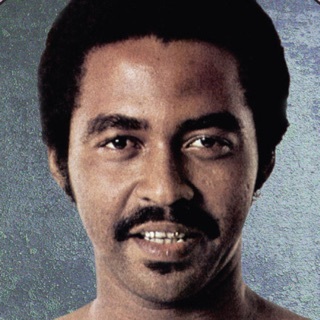 He sang lead for groups like Generation Gap and Soul Syndicate, and also recorded off and on as a solo act during the '70s, though always in the singles medium. During this period, he began writing some of his own material, including songs like "Go Away Pretty Woman," "Tomorrow Is Like Today," and "What Difference Does It Make." In 1975, McGregor converted to Rastafarianism, which had a profound impact on his music. 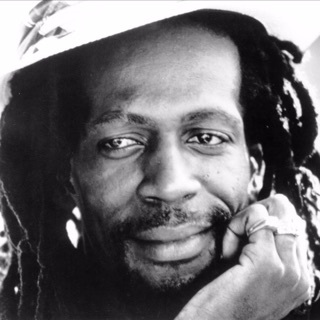 Still with Studio One and working with Earl "Chinna" Smith, he recorded the classics "Rastaman Camp" and "I Am a Rasta" right off the bat, and followed them with a string of singles that substantially raised his profile in Jamaica: "Mark of the Beast," "Sergeant Brown," "Jogging," "Natural Collie," "Zion Chant," "Walls of Jericho," "Africa Here I Come," "Come Now Sister," and "Bobby Bobylon" among them. He issued his first album, Mr. McGregor, in 1977, under the auspices of producer Niney the Observer. Returning to Studio One, he offered his first LP for the label in 1980 with the classic Bobby Bobylon, which featured a mixture of new material and reworkings of older singles. The album was a smash hit in Jamaica, establishing McGregor as a budding star, and revitalizing Coxsone Dodd's production career. 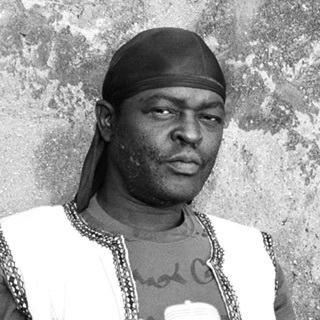 Around the same time, he started producing and arranging for other artists, most notably on Judy Mowatt's solo debut, Black Woman; he also worked with Johnny Osbourne and Jennifer Lara. 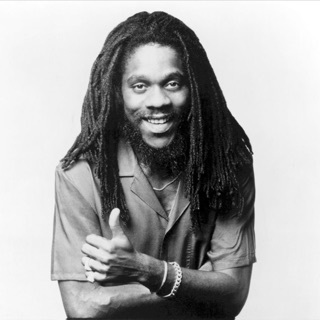 In 1981, McGregor scored a huge hit single with "Big Ship," which catapulted him to the front rank of reggae stars in the immediate post-Marley era, along with Dennis Brown and Gregory Isaacs. His next LP arrived in 1982, also titled Big Ship, and featured production by Linval Thompson and musical backing by the Roots Radics. It too was highly successful, both creatively and commercially. Signing with Ras for 1983's Come On Over, McGregor extended his creative hot streak to an international audience, making a name for himself in the U.K. and U.S. His 1984 follow-up Across the Border was a slightly poppier effort that contained his hit reggae cover of "Guantanamera." Continuing in this crossover vein, in hopes of surviving amid the dancehall revolution, McGregor released All in the Same Boat in 1986; it produced a major hit in "Push Come to Shove," which became his first U.K. chart entry. He sparked the interest of Polydor Records, and found further U.K. success with "That Girl" and a cover of the Main Ingredient's "Just Don't Want to Be Lonely," which made the U.K. Top Ten in 1987. McGregor's relationship with Polydor proved short-lived, however, and he formed his own label, Big Ship, in 1989. The first release was an all-covers LP called Jamaican Classics, which was so well-received that he quickly recorded a second volume (and, eventually, a third in 1996). 1991's Now also featured several covers, and 1993's Legit was an equal-time collaboration with Dennis Brown and Cocoa Tea. Also in 1993, he had a hit with his lovers rock cover of Justin Hinds' "Carry Go Bring Come." 1994's Push On provided much of the foundation for what many would call his finest outside production work, Luciano's 1995 After All album (which featured the major hit "Shake It Up Tonight"). Also in 1995, McGregor issued his own Forever My Love, one of his more sentimental offerings.